Bill Turnbull has worked for the BBC since 1986, reporting as a journalist for television and radio from over thirty countries before becoming presenter of BBC One's flagship breakfast television show BBC Breakfast in 2001. He lives with his wife, three children, two black Labradors, five chickens and six hives of bees in Buckinghamshire. So begins Bill Turnbull's charming and often hilarious account of how he stumbled into the world of beekeeping (sometimes literally). Despite many setbacks - including being stung (twice) on his first day of training - beekeeping somehow taught Bill a great deal about himself, and the world around him. The Bad Beekeeper's Club also highlights the very real threats to Britain's bee population. One in every three tablespoons of food derives directly from the pollinating process of the humble bumble bee. But hives are collapsing at an accelerating rate with significant environmental consequences. 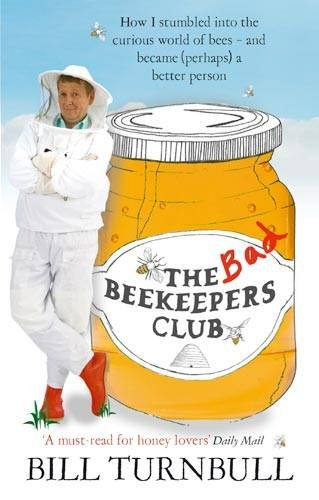 Fascinating and extremely funny, The Bad Beekeeper's Club is a universally appealing story about a very singular passion.